Kindergarten Hoppenings: Run, Run, as fast as you can! I know I have not been the best blogger in the world, I am sooo sorry! I had these grand delusions that I would get a good Thanksgiving unit done and posted...here we are just days away and I've got nothing for you. I have been consumed by all things BABY! We had our baby shower October 23rd and suddenly the flood gates opened up for us! Our loss last year truly kept us extremely cautious. Once we had our shower, I began M.A.J.O.R nesting! From organizing his nursery to stocking our freezer. I try to sit down and blog or create and I find myself on etsy ordering a zillion custom burp clothes. He's our first and most likely our only, so I am going to shop to my hearts content and spoil him!!! We are getting very close to D Day, December 16. I am truly torn because I am beyond excited to meet my little guy but I LOVE teaching in December...it is the best. I guess I just need to sit back and enjoy the ride. If you have sent me emails, I am sorry that I have not replied. It isn't because I don't appreciate your kind words, I am just consumed with baby, prepping for a long term sub, and report cards/conferences. Also, if you leave me comments on Scribd, I will just come right out and say it, it's a pain to read them. I have to click on each individual comment and then wait for that dreaded site to show it, so the moral of that story is that you should send things to gmail or leave them on the blog because we all know Scribd is a pain! Also, I know there have been some mistakes in some of my games like I have/Who Has, I blame my pregnant brain, LOL. I promise I will eventually fix those mistakes and repost....might be next fall, but it will get done! I haven't been creating like I normally do, but I do have some things I use for our Gingerbread Unit, which by the way, I ADORE! 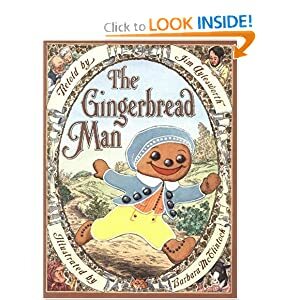 We read all the different variations of the story, compare characters, taste gingerbread, make some super cute glyphs...it is soooo much fun for me and the kiddos! I am posting the small amount of things I have, I wish I had more and I wish I could tell you that I will post things for Holidays Around the World, but it is doubtful. I will post an update when my little guy makes his appearance and that may be it until 2012. As always, I hope you find something you can use; I hope I inspire you to share (especially during this time of year); and I hope you have a WONDERFUL Thanksgiving!!! May you, your family, and friends be blessed! Please consider making a donation to my blog. All documents contain fonts that are copyright DJ Inkers. Virtually all documents contain graphics that are copyright DJ Inkers. They are used with permission. Please visit http://www.djinkers.com/, for wonderful clipart and fonts. Thanks for sharing! Prayers for you and your family as you await the arrival of your little guy! How exciting! Love the Gingerbread activities! I especially like the What's in the Middle. The past activities you've created like this have been terrific for my kids! Everything is darling and truly appreciated. Yippee!! I love to see your new posts. You are amazing. That's why I am passing along the Sunshine Award to you. Happy Thanksgiving! Yay! Thank you for sharing! Congrats on your upcoming bundle of joy! Thanks for sharing your activities! I too love seeing a new post from you:). Enjoy your Thanksgiving and your preparations for the little guy! Thank you so much! 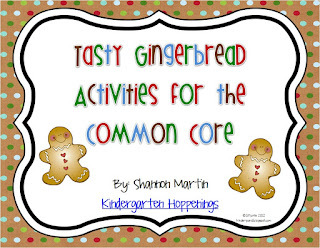 These activities are so awesome and just in time for gingerbread man week at my school! I wish you all the best as you embark on this exciting time in your life!! Congratulations!! I am so excited for you that your baby boy is almost here!! He is so lucky to have you as a mother, you are amazing! 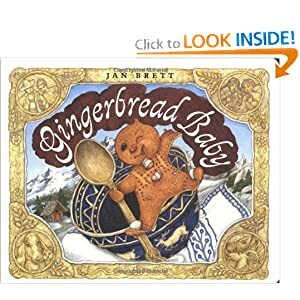 Thank you for sharing all of these amazing gingerbread activities, they will be perfect in our gingerbread week! When I saw that you had a new post I was really hoping it was the December edition of your Poetry Journals, we love them. I will try my best to channel your talents to find poems and create the pages for them. I look forward to hearing about your little boys arrival! Thank you for sharing!!! I will be thinking about you and your family over the next few weeks. Congrats on your upcoming baby boy!!! Thank you so much Shannon!!! I'm so happy to hear that your little one will soon be here! Maybe he will make an appearance on my birthday (Dec. 17)! Congratulations again! I have missed you! I was wondering if your little bundle of joy was here already. I am thrilled for you and the upcoming arrival! Thanks for sharing as usual! Happy Thanksgiving! As usual I love it all! :) Pinned it to use closer to the holidays. Congrats on your little one!! You are the best! Thank you sooo much for sharing your freebies! My students always love and learn so much from what you create and you save me tons of time and money. Good luck with your baby boy! He is lucky to have such a giving momma! thanks for all the gbm goodies. can't wait to see pics of your little guy! Hi! I am a new follwer and I just wanted to say thank you for the very generous set of GMan activities! I love them! We are working on teens and the GMan next week and all month and they will be perfect! Congrats on the coming of your little boy! They are such a blessing! What a fantastic Christmas you and your family will have! I love all the fun activities you create! I am glad that everything is going well with your pregnancy! Being a mom is the most amazing experience. I just had my little boy on October 17th and it is the best! Have fun and savor every moment! Happy Thanksgiving and I can't wait to see your pictures of him! Congrats on your sweet bundle of joy this holiday season!! Thanks for sharing all your activities. You are awesome! Thanks for sharing your gingerbread ideas. Take care and enjoy your little guy...time goes so quickly...those baby days are precious. Thank you so much for sharing. 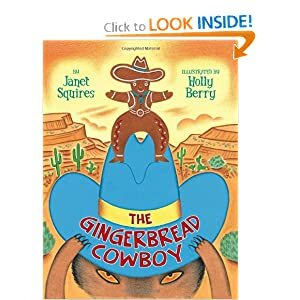 I am looking forward to getting back from Thanksgiving break and starting my Gingerbread Unit. Good luck with baby! Happy Thanksgiving! I am so happy for you and your family! This little boy is very lucky! Thank you for the wonderful gingerbread activities. Wow! If this is what you post when you are crazy busy...what do you post when you have time????? This is amazing! Thanks so much for all this stuff. I am new to kinder and your blog has been so helpful! Thanks a lot. Many blessings for you, your baby, and the new family you are creating! Thank you, once again, for wonderful materials! Prayers for you and your little one! Thank you SO much for sharing all of your wonderful creations!! Praying for a wonderful birth and a beautiful, healthy little guy! Merry Christmas! I am beyond thrilled for you...our first buy, Sara, is in heaven and I have been blessed to birth babies who are now 18, 16, 13, and 10. Enjoy every minute, do not let guilt consume you when your ARE tired or frustrated, take tons of pictures and video, let school take a bit of a backseat! And, THANK YOU for sharing your gingerbread stuff! I collect all things Gmen and the unit is one of my fans. I wish I could send you a gift card, 'cause I think you just saved me some $$ today! Cannot believe I typed "buy" instead of "baby"!! I am off to take my daughter shopping and that was definitely a subconscious slip! Thank you so much for the gingerbread activities. You are so creative! Wishing you all the best in the upcoming weeks/days before your little boy arrives. Enjoy! Thank you so much for sharing your creations with all of us!! I LOVE your ideas and you have given me some great activities for my kiddos to enjoy! Thank you for being so giving! Thank you so much. So good to hear from you and get an update! I have been praying for you and your baby. Can't wait to hear about his birth-so near our Savior's birthday-God is good! Children are indeed a gift from God. My oldest is pregnant after loosing one in March. So excited! Thank you for your creations! Good Luck with all things baby!! Thanks so much for all of the Gingerbread activities! I love all the stuff you create and use it in my class! Good luck with your baby's arrival! Thanks again for all the great resources! Enjoy your last few weeks preparing for your new arrival. THANK YOU for all the gingerbread freebies!!!! Enjoy everything baby for as long as it lasts! Preparing, SHOPPING, and enjoying!!!!!! It goes way to fast!!! I have 2 boys of my own......there is something special about a mom and her boy!!! Enjoy! I will say a special prayer for you and your baby boy! What a blessing! Thank you for all the gingerbread activities! This is one of my favorite units to teach each year. All of your activities are so cute and I can't wait to use them with my kinderkids. I hope that everything goes well with your new bundle of joy's arrival into your family. I know he already holds a special place in your heart. Enjoy your own Christmas miracle! Oh Shannon - your activities are fab.u.lous! Thank you so, so very much for sharing with us! I know you're extremely busy with the much anticipated arrival of your little one, plus still teaching (whew! ), but I had a quick question for you: Which DJ Inkers disk or download did you use to make the "Sweet Patterns" and "How Many?" forms? Thank you so much and let us know when he arrives! These are awesome! Thank you so much for sharing your hard work! Prayers on your little blessing and you! If you have time, hop on over to my blog for a chance to win one of the CUTEST teacher shirts ever and some other great stuff! BTW- I am your newest follower and so happy I found your wonderful blog! I'm the 43rd person to tell you this, but you are amazing!!! Thanks for everything you do! Wow~this is great! I've just joined your blog. THANKS! Thanks for the math sheets! 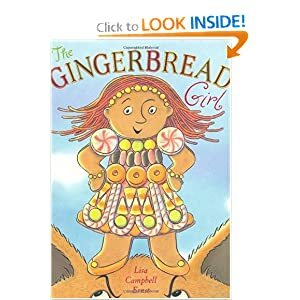 I feel better about teaching gingerbread when the lessons are math and reading focused! Darling gingerbread activities! I LOVE coming to your blog. I feel like I leave with super fun and truly educational activities to use in my classroom that are standards-based. 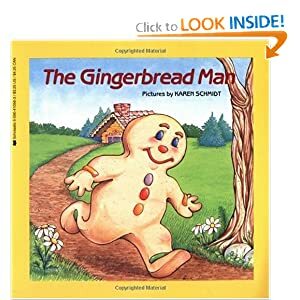 Nobody can "get onto me" for teaching about the gingerbread man when I can prove that everything I am doing in aligned perfectly with the standards! Thanks again! P.S. My son was born on Dec. 16th! Best birthdate ever! We waited for him just like you and your husband have - and BOY was it worth the wait! Congratulations! I am so glad I found this! It is going to be the hit of my unit for the next 2 weeks! Many blessings on your upcoming arrival! Thanks for sharing these wonderful activities. Cherish your son. Thank you so much for all these great activities! I am certainly going to be using these with my kids. I couldn't find how to contact you directly... I have something I wonder if you would be willing to review on your site... I'd give you a free copy in exchange for a review. Would you be interested in doing that? Please contact me directly at treblesand@optonline.net You can see about it at http://www.LittleLearningLovies.com It's the current Giveaway that's going on. THANKS! I'm looking forward to hearing from you! Thank you for the wonderful gingerbread activities. I am sure that my students will love them. Thank you sooo much for sharing such great ideas with others!! I LOVED them -- snagged the ones I thought I could use w/ my K kiddos!! Happy Holidays!! Good Luck w/ the New Baby!! Babies are the best!! My twins are 3! Where did the days go! Enjoy each moment...it all goes by TOOO fast! Thanks so much for taking the time to post all these gingerbread goodies!! I can't believe that you were able to do all of this AND get ready for that precious package you are expecting--I haven't posted anything since school began and I'm single with no kiddos at home! Thanks for sharing! I love your gingerbread unit!! Adorable!!! I'VE JUST DISCOVERED YOUR BLOG AND YOU HAVE SUCH WONDERFUL IDEAS!!! thanks very much for sharing. GReets from Spain. Love all your activities. Thanks for sharing!!! Thank you so much for sharing the great things that you make for free. I have been following you for a year now and I must say, I love everything you post. Thank you again. I love using graph in my classroom,this is so cool!THANKS!! Thanks ever so much! I love all of your work. Peace and blessings to you and your family.